Finding out that someone you care about has been locked up can be very difficult news to handle. For this reason it may be comforting to know that you can help them almost immediately. How, you ask? By posting bail of course. Bail is what allows the recently arrested to walk free until the outcome of their trial, at which time the charges will either be dismissed of the defendant may need to return to jail to serve a sentence. If it is likely that the person will have to go to jail why should you post bail for someone? There are a few key reasons as to why posting bail is important to do. The court period can take weeks, months or more. That is a long time to remain in jail when the person could be free to live their life as they were previously. By posting bail for someone they can continue going to school, working, caring for their family and doing whatever else they enjoy or need to be doing. Another great benefit of posting bail is that it gives the defendant the opportunity to seek legal council for their case. Not all lawyers or attorneys are created equal and some are more skilled in particular areas than others. Depending on the case the defendant may need to seek out a certain type of specialist to ensure the best possible outcome for their trial. It can be hard to do this from behind bars. If it seems as if the defendant is going to have to spend some time in jail they will likely want to get their affairs in order. This may include prepaying bills or mortgage payments, finding care for children, family members or pets and discussing future employment possibilities with their place of work. As the law states a person is innocent until proven guilty. That means they don't have to stay in jail if they can afford the promise that states they will show up for court. Posting bail can be expensive as bail amounts can reach into the hundreds of thousands of dollars. However, by using a bail bond the initial fee is greatly reduced. 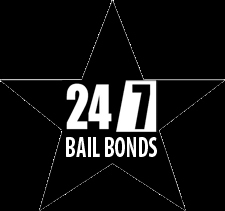 If you're curious about bail bonds in San Rafael or throughout Marin County reach out to 5 Star Bail Bonds. For decades we have been helping people post bail with friendly, affordable services. Give us a call at (415) 479-4800 to request professional help to post bail in San Rafael or the surrounding areas.